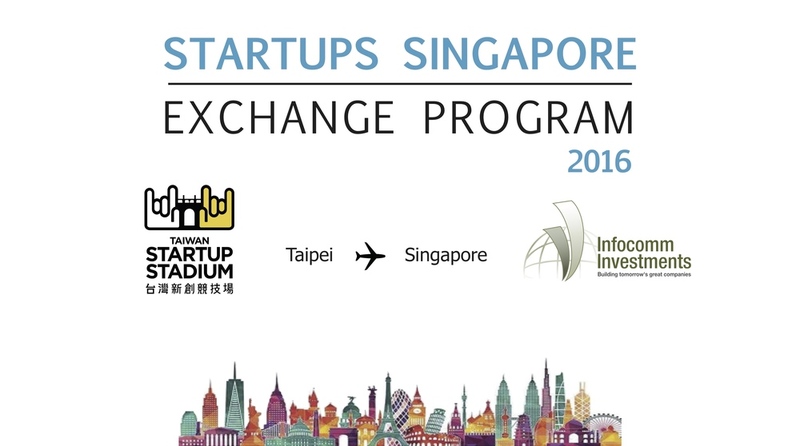 Thank you for your interest in the Startups Singapore Exchange Program! The application period has ended, but stay tuned to our Facebook or sign up for our newsletter to be notified when new opportunities are available! FIVE startups will be chosen to fly to Singapore to attend the exclusive, invitation-only Global Startups Exchange Program. This 4-week intensive Exchange Program hosted by Infocomm Investments Singapore is designed for Taiwanese startups aiming to tap into the vibrant Southeast Asia market. Benefits: Selected teams will receive a one-month immersion hosted by Infocomm Investments. The 4-week schedule will include introductions to the local startup scene, weekly 1:1 mentor sessions, a local entrepreneur buddy, weekly social events, and complimentary working space and services at the cool BASH co-working space in BLK 79 Singapore. Language note: The exchange program will primarily take place in English. Optional: If you have a more detailed Southeast Asia plan, please provide a link to this document. Five startups will be chosen by Infocomm Investments & TSS together. The selected teams will be notified by Monday, Jan. 25 at 8 pm, and the list of teams will be shared on the Taiwan Startup Stadium Facebook page. Team must attend the full program according to the agenda arranged by Infocomm Investments. Teams will be responsible for booking and costs of air tickets & accommodation. Teams must provide a feedback report within one week of returning to Taiwan. Selected teams will have a chance to meet with the Infocomm Investments team on Jan. 28 in Taipei.